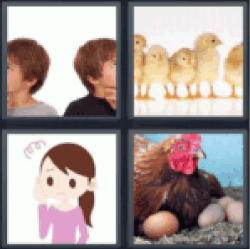 4 pics 1 word Chicks. Two little boys. Baby chicken. Worried girl cartoon. Hen laying eggs.